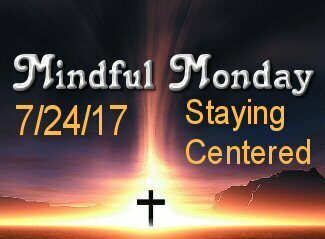 The Mindful Monday devotional for this week is about Staying Centered. There are so many programs and hot topics in Christian circles these days that at times we need to just take a deep breath and sit down and get back to the heart of what makes us Christians. I know in my case, I’m really active in last days prophecy circles and there’s always a hot topic being discussed. The Revelation 12 debate, is the planet Nibiru Revelation’s “wormwood”, is Jared Kushner the antichrist or maybe it’s France’s Macron? On and on it goes. The longer I walk with God, the more I want to emphasize the basics of the Christian faith. Today, if we want to, we can attend all kinds of special conferences that emphasize particular areas – prophecy, apostolic ministry, spiritual gifts, intercession – all of which are valid expressions. But the more I hear about such things, the more I want to focus my attention on the essence of the basic Gospel. I keep coming back to the most basic elements of our faith: the message of God’s grace, salvation, what makes life, life, why we should have joy. Jesus is the center of our faith. 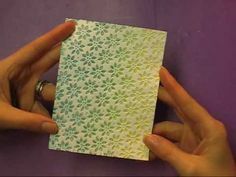 I keep returning to the center because I want to be centered! Here, clinging close to Jesus, we are safe, protected, shielded from the storms of life. The storms will still come. We will still be challenged, stretched, wrung out. But we will be anchored in Him. Secure, unshaken. Racing car drivers are trained to focus their attention on where they want to go (as opposed to where they don’t want to go). The premise is simple: they are traveling so fast that if something catches their attention and they look at it, they’ll hit it! So they learn to tune out the peripheral and focus on the road ahead. We find ourselves moving in the right direction when we keep our eyes focused on Jesus, our gaze fixed on Him. I don’t want to pay too much attention to the peripheral. I don’t want to be drawn away to focus on specialty areas on the side. I want to keep my attention on Jesus. If I take my eyes off Him, I can’t follow where He is going. I am less in tune with Him. Less aware of what’s on His heart. When I keep my eyes fixed on Him, I stay connected to the simplicity and power of the Gospel. My priorities are the same as His priorities. My heartbeat is in tune with His heartbeat. I believe when others respond to Jesus, they respond because of the simple Gospel message: from darkness to light, from death to life, from hopelessness to hope, from unbelief to faith. Let’s keep it simple, and let’s keep centered. “For while we were still weak, at the right time Christ died for the ungodly. For one will scarcely die for a righteous person—though perhaps for a good person one would dare even to die— but God shows his love for us in that while we were still sinners, Christ died for us. Since, therefore, we have now been justified by his blood, much more shall we be saved by him from the wrath of God. For if while we were enemies we were reconciled to God by the death of his Son, much more, now that we are reconciled, shall we be saved by his life. More than that, we also rejoice in God through our Lord Jesus Christ, through whom we have now received reconciliation.